You know what? 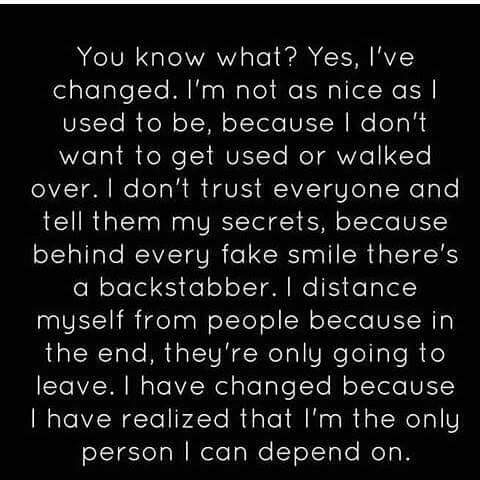 Yes, I've changed. I'm not as nice as I used to be, because I don't want to get used or walked over. I don't trust everyone and tell them my secrets, because behind every fake smile there's a backstabber. I distance myself from people because in the end, they're only going to leave. 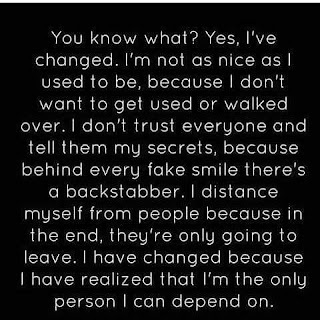 I have changed because I realized that I'm the only person I can depend on. 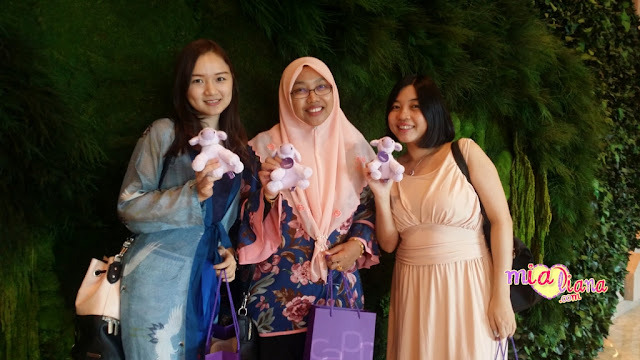 Kadang-kadang perubahan pada diri kita pun disebabkan oleh orang lain.